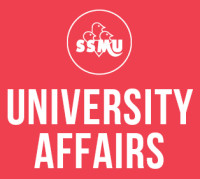 The SSMU is committed to the promotion of universal access and support of students with disabilities through its Accessibility Policy, found in the Policy and Plan Book. This policy mandates action in the areas of communications, programming, physical access, student groups, advocacy, and governance. Additional McGill accessibility resources are listed on this page. For more information, please contact the Vice-President (Sustainability & Operations) at operations@ssmu.ca. You can also find other related links on the Equity Resources page.